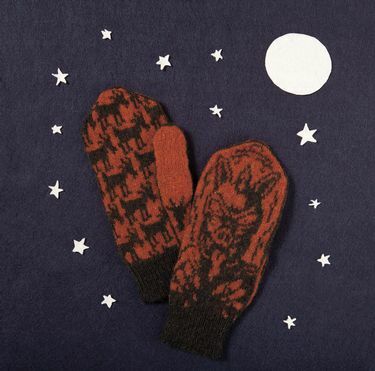 Chupacabra Mittens feature the feared 'Goat Sucker' of Mexico and Central America. 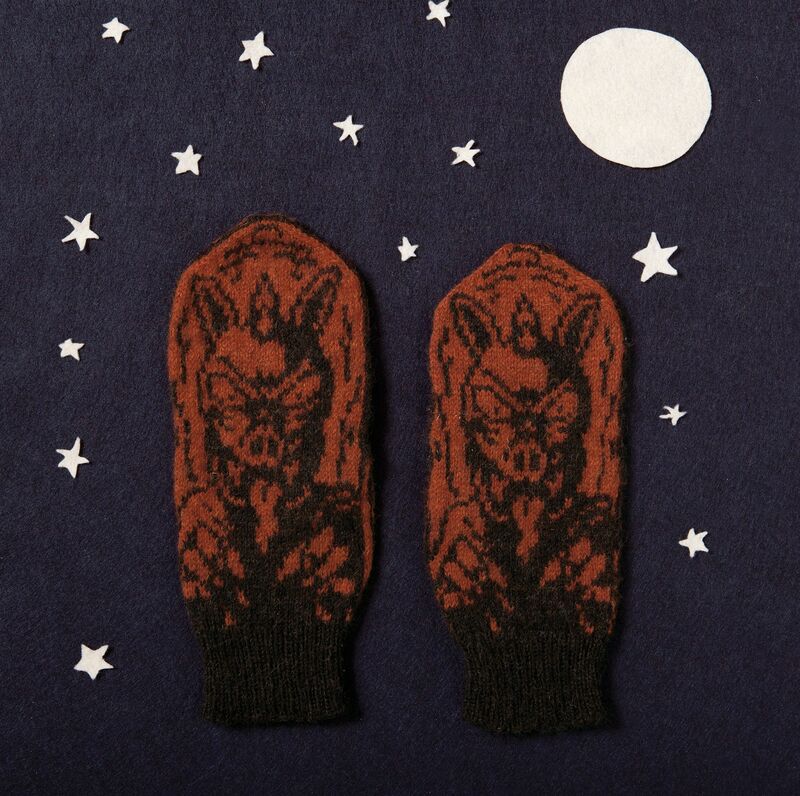 El Chupacabra's menacing face graces the backs of the hands while goats tile the palms. 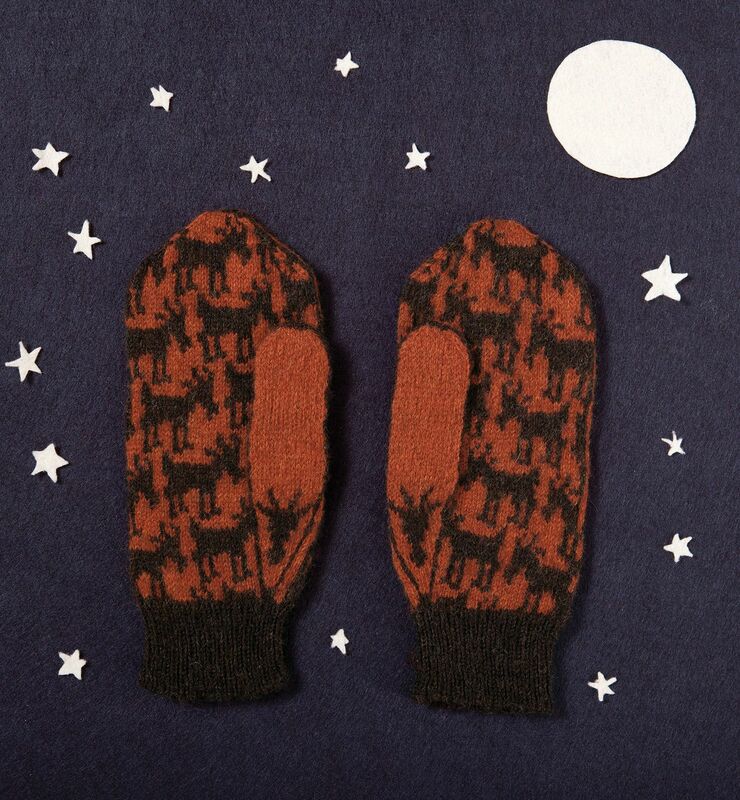 The pattern includes two full charts for the right and left mittens, with the difference between the Small and Large obtained by a change in needle size.